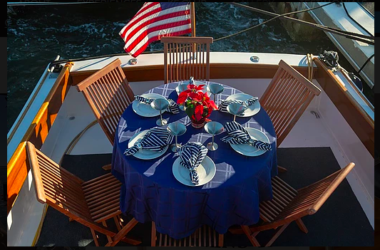 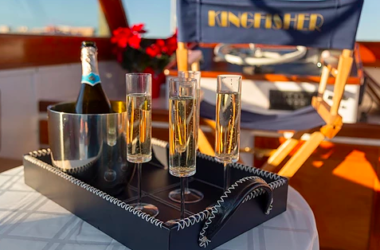 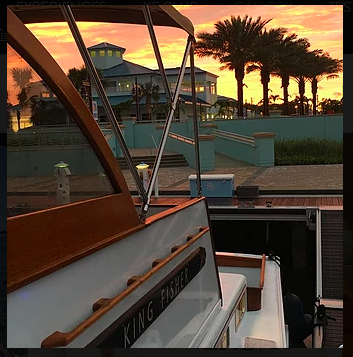 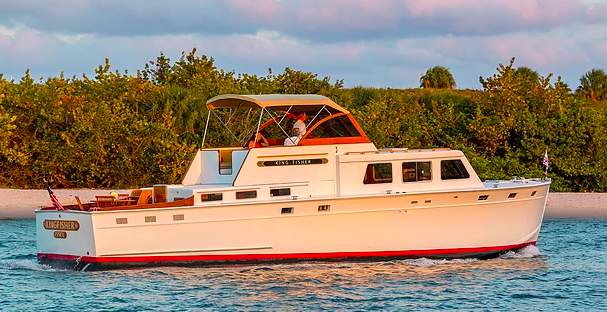 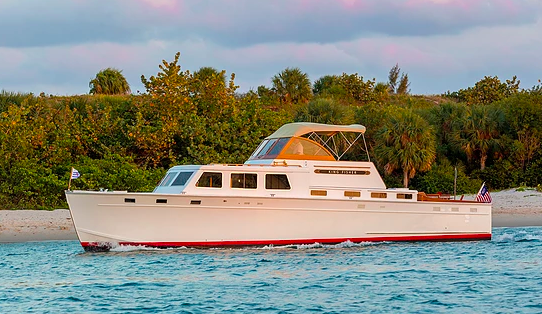 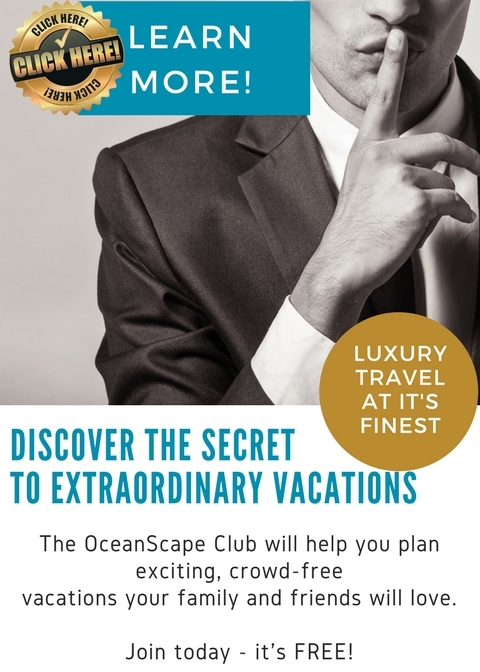 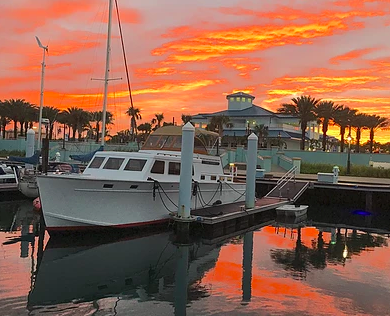 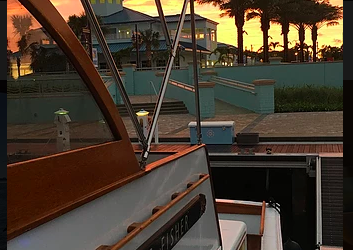 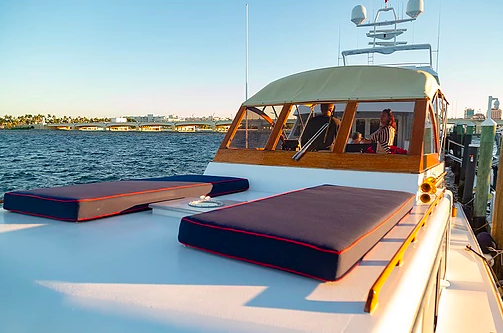 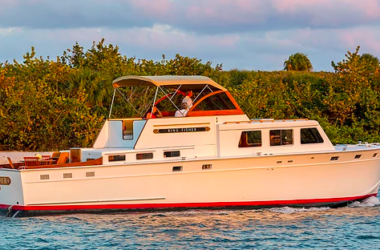 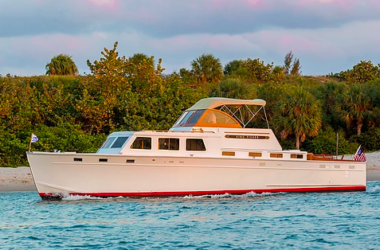 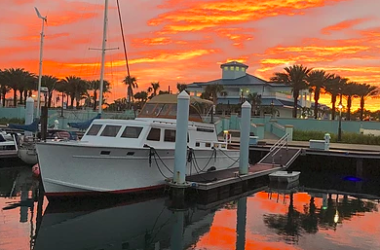 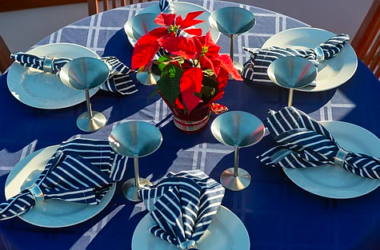 Whether you want to do a sunset cruise in Palm Beach or south Florida in the winter, or head up the coast and spend the day cruising around Newport, Rhode Island or the Hamptons in the summer, Kingfisher is an excellent choice for your short term charter needs. 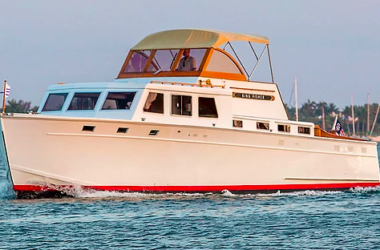 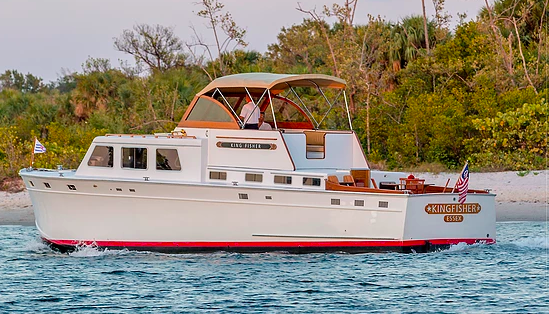 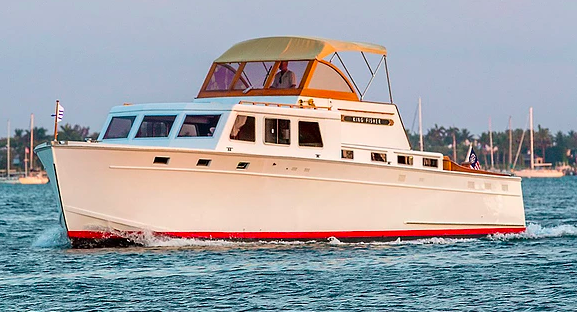 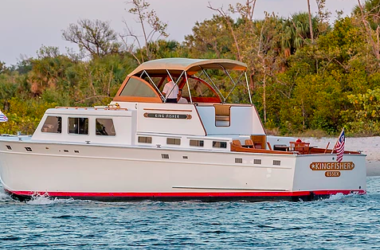 Originally built in 1959 but undergoing extensive refits in recent years, Kingfisher is 50 feet of classic built lines, and luxury upgrades. 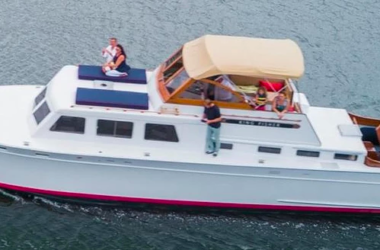 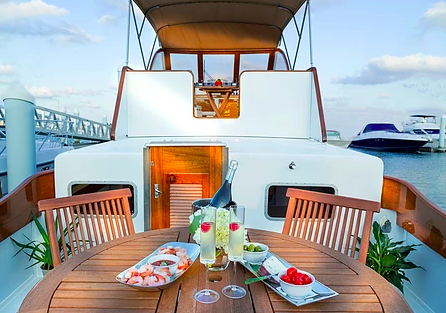 Whether you want to escape for a work event, special occasion or create a little “we” time, this is the perfect yacht for you! 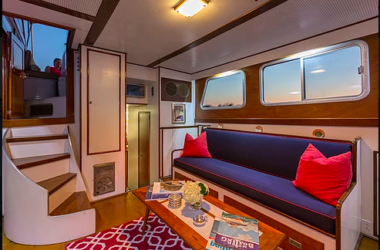 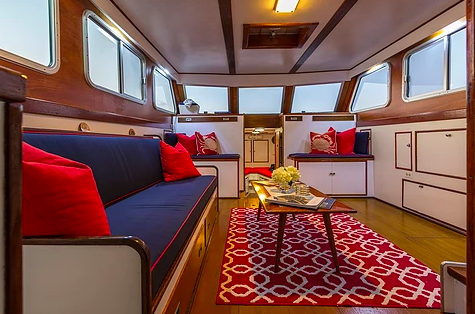 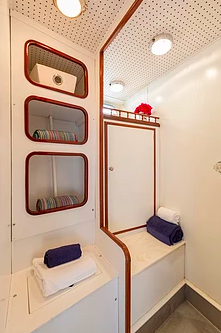 A large salon is excellent for escaping when you want a little break from the sunshine, or if you can’t get enough of that vitamin D, head up to the bow and relax on a comfy cushion as the coast fades away. 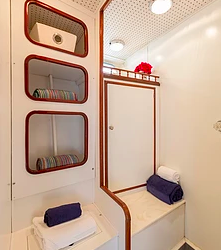 Moving inside, Kingfisher does have two cabins for extended stay charters. 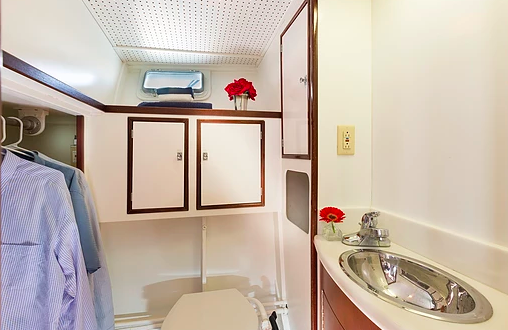 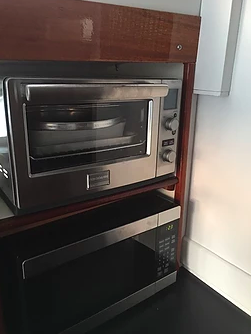 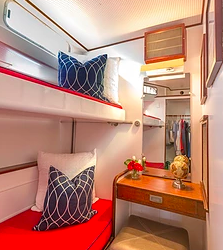 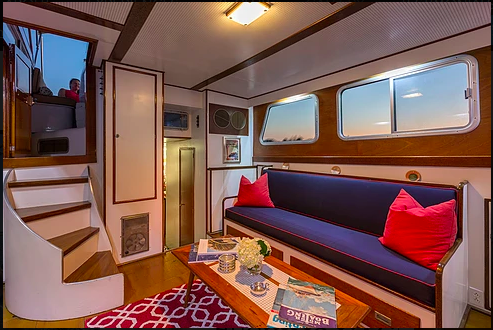 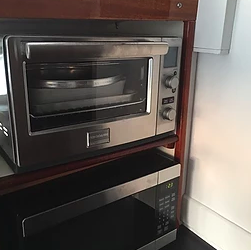 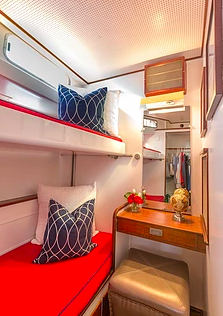 A master cabin with ensuite and guest cabin would be great for those looking to get away for a few days. 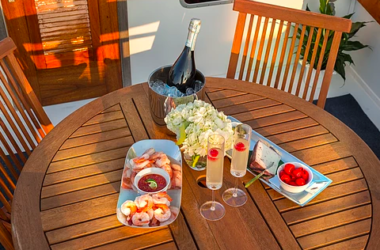 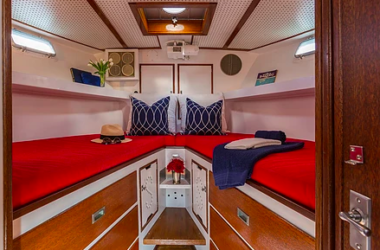 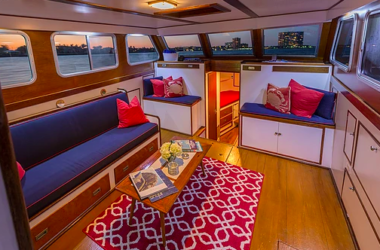 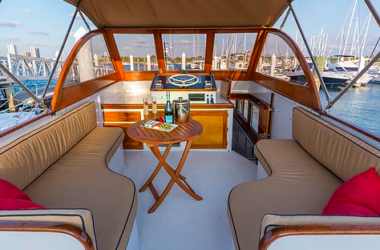 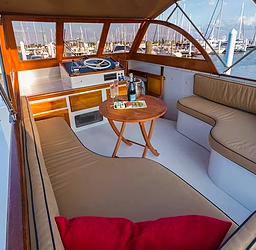 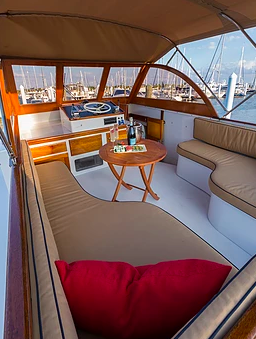 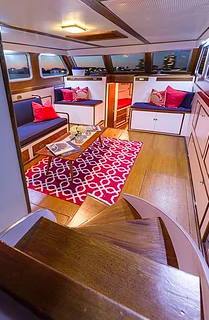 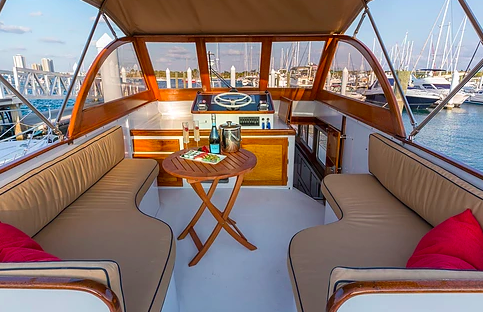 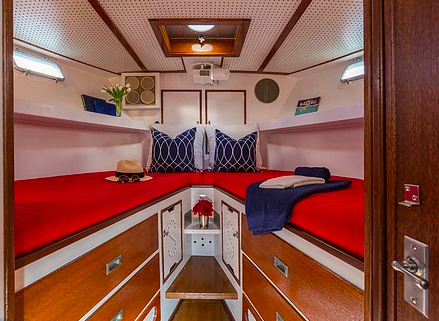 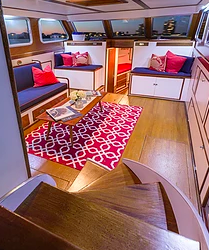 Whether you want to dine alfresco on the aft, or up on the flybridge, this is truly a yacht made for entertaining and having fun!